Located 28km away from Lille in northern France, the former coal mining stronghold of Lens is, not for the first time in its history, striving to adapt to change. Part of the Spanish Netherlands between 1526 and 1659, and heavily affected by the last century’s world wars, the town has been anxious to forge a new identity since the closure of the last colliery in 1990. 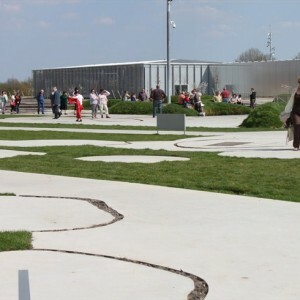 Given the importance of the mining industry to the town after coal was discovered in 1849, coping with transition has proved a real challenge, but the opening of the Louvre-Lens art museum in December 2012 brought fresh hope. Built on a former colliery at an estimated cost of €150m, France’s newest cultural treasure helped bring the region UNESCO World Heritage status. The name Lens first appeared during the Merovingian period in the form ‘Lenna Cas’ (Fortress of the Springs). The town fortifications, no longer visible, were erected as a defence against Norman invasions. In feudal times, Lens was in the sphere of influence of the Count of Artois and then came under the rule of the French Crown in 1180. Lens grew into a large country town in the Middle Ages, hosting major fairs and markets but suffered greatly during the Hundred Years War and was burned in 1303. During the 30 Years War, Lens was taken and retaken by the French and Spanish, and gave its name to the great battle won by the Prince of Condé over the Spanish on 20 August 1648. The Treaty of the Pyrenees confirmed this victory in 1659 by awarding the French sovereignty over Artois. The discovery of coal at Oignies in 1841 led to regrowth and when coal production ceased in 1986, the town adopted a policy of restructuring, symbolised by the establishment of a science centre at Artois University. • Félix Bollaert, businessman and philanthropist (1855–1936): chairman of the Lens Mining Company. The RC Lens stadium is named after him. • Lens railway station: constructed in 1926 by Urbain Cassan. The station’s profile resembles a steam engine and was the first example of the Art Deco style in the mining area. Beautiful mosaics adorn the interior, with the Cubist-inspired designs representing scenes of industrial life. • Jean-Perrin Science Faculty: based in what were the main offices of the Lens Mining Company, whose imposing size made them a veritable palace of industry. Designed by Lille architect Louis-Marie Cordonnier, the building was constructed in 1930 and opens onto large formal gardens. • City centre: Place Jean-Jaurès is the heart of the town, located at the intersection of the two main shopping streets (Boulevard Basly and Rue Lanoy). • Stade Bollaert-Delelis: opened in 1932. 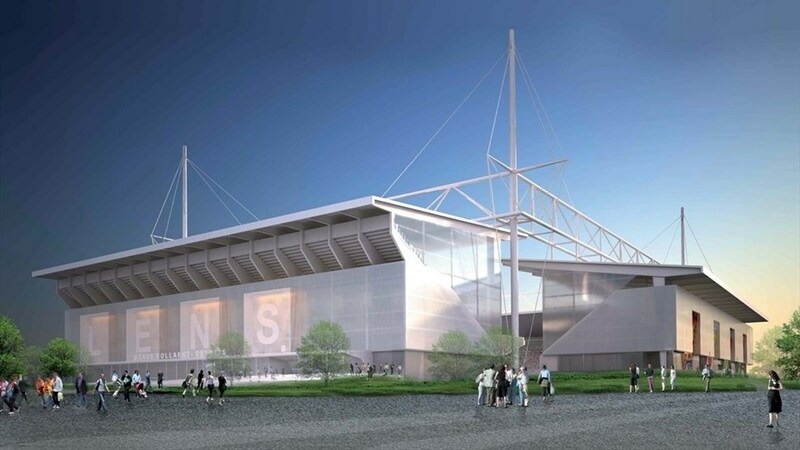 A stronghold of French football, this English-style ground has four distinct stands and hosts a fervent local support at every RC Lens home match. The local fans are renowned for the warmth of their welcome and have been described as the best in France. 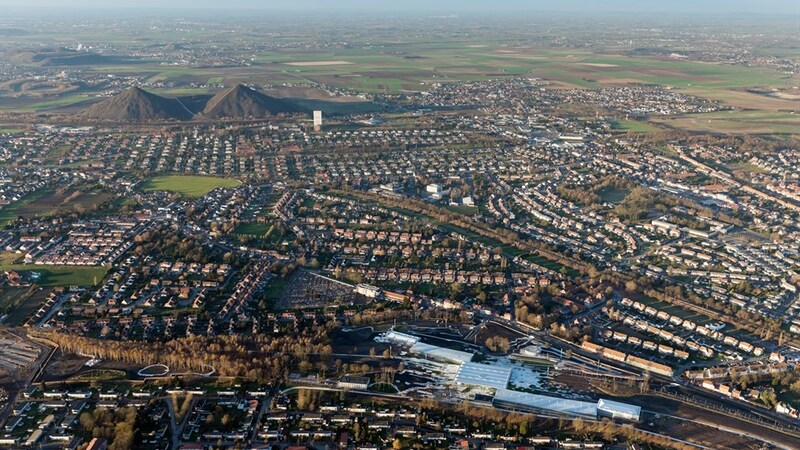 • La Base and the 11/19 twin slag heaps: This is one of four preserved mining heritage sites in the Nord-Pas-de-Calais region. The site offers a comprehensive vision of what a mining site was like with the pithead, slag heaps (huge piles of waste from coal mining) and miners’ housing. Lens is well served by the A21 motorway that loops in a semi-circle around the north and east of the city and connects Lens to other motorways, in particular the A1 that runs from Paris to Lille and the A26 from Calais to Reims. 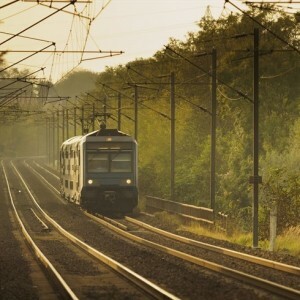 The city is served by the high-speed TGV-Nord rail link, with six trains a day to Paris (journey time 1 hour 10 minutes) as well as SNCF lines 6, 13, 21 and 23 to Valenciennes, Arras, Dunkirk and Lille. The nearest airport is Lille. Public transport is provided by Tadeo, a public/private joint venture. A new bus station was built in 2009 and a tram line is planned to connect Lievin to Henin-Beaumont via Lens to replace the existing express bus route. To reach Lens from Lille airport, either use the new TGV rail link from Gare Flandres railway station in Lille or take a taxi via the A1 and A21 motorways. The journey is also possible by two bus routes and takes approximately 1 hour 20 minutes. Organised football came to Lens in 1905. The owner of the Chez Douterlinghe café founded a club after watching college students play at Place Verte in the town. The club elected their first board in early 1906 and chose to play in green and black, a nod to Place Verte and the city’s connection to the coal industry. All footballing activities ceased during the First World War. In 1919, with the encouragement of a certain Mr Laroche, the American director of a war relief company, the club came back to life, this time wearing the sky blue and white of the Franco-American Sports Union. In the following year Pierre Moglia became president. In reference to the Spanish occupation of Artois in the 16th and 17th centuries, he designed the side’s red and yellow striped shirt. The French Football Federation (FFF) adopted professional football in January 1931. 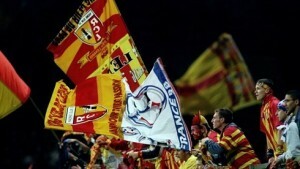 After 18 months of uncertainty, RC Lens (RCL) were accepted into the second division. In 1936 the club’s new stadium was named after Félix Bollaert, chairman of the board of the Lens Mining Company. Lens had plenty to celebrate in 1998©Getty ImagesA low point came in 1988/89 when RC Lens finished bottom of the top flight. But better times were ahead and RCL had their finest hour in 1998 – French Ligue 1 champions. The next year they added the French League Cup. After a highly successful decade, punctuated by participation in European competitions, RCL suffered two painful relegations to Ligue 2, in 2007 and 2011. They were sold Lens to Hafiz Mammadov, a wealthy Azerbaijani businessman, in 2013. The record attendance at Stade Bollaert-Delelis was for a game against Olympique de Marseille on 15 February 1992: 48,912 spectators crowded into the ground – in a town with a population of 34,000.